This nourishing handmade foot cream is easy to use. This is amazing cream for dry or distressed skin. Handmade from organic ingredients which help to moisturize your skin. This is a solid cream that melts when it warms on your feet. This cream should be applied before bed and absorbs into the skin easily. To use: rub the cream over heels, feet, elbows etc. Store the cream away from direct heat. Ingredients: The beeswax was harvested from local bees in Lewis County, WA. The beeswax nourishes dry and distressed skin. It creates a natural barrier between your skin and the weather...a must to have in winter. Organic shea butter is renowned for moisturizing skin. Organic Cocoa butter is a natural moisturizer and melts at room temperature. A fragrance free option, as well as a number of essential oil fragrances are available. 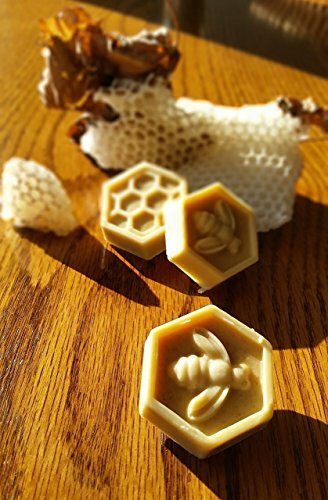 If you have any questions about this product by Hidden Vale Farm Beeswax Skin Products, contact us by completing and submitting the form below. If you are looking for a specif part number, please include it with your message.